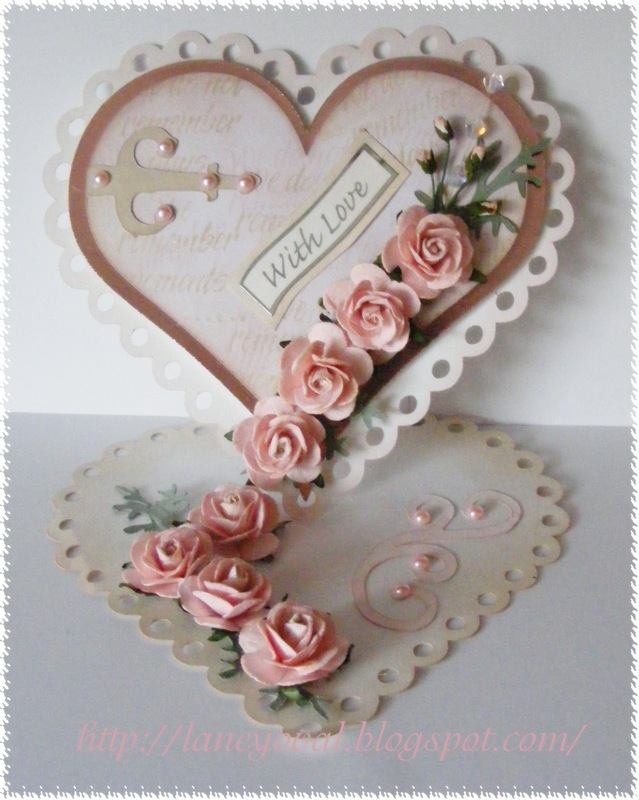 I wanted this valentine card to be romantic and feminine,I have used white and pale pink metallic card stock which I have distressed using Tim Holtz distress inks and Inked text onto my centre heart, the heart shapes were cut using the cricut, added these gorgeous roses from Wild Orchid Crafts, pearls and a cut finding and flourish. Gorgeous card Laney.Love your Roses. OH WOW Laney, this is stunning, I just love it. This is just beautiful, love it! Stunning Laney, I like everything about it !!! Thanks for joining us at WOC with your beautiful card! Many thanks for joining us at Sentimental Sundays this week. Wow, this is stunning. Love the cascading roses. Such a lovely Valentine creation. Thanks for joining us at Sentimental Sundays this week. Wow Laney this is absolutely beautiful, wow, a stunning design I love those roses displayed like that, awesome creation. Stunning work! Thanks for playing at WOC this challenge.